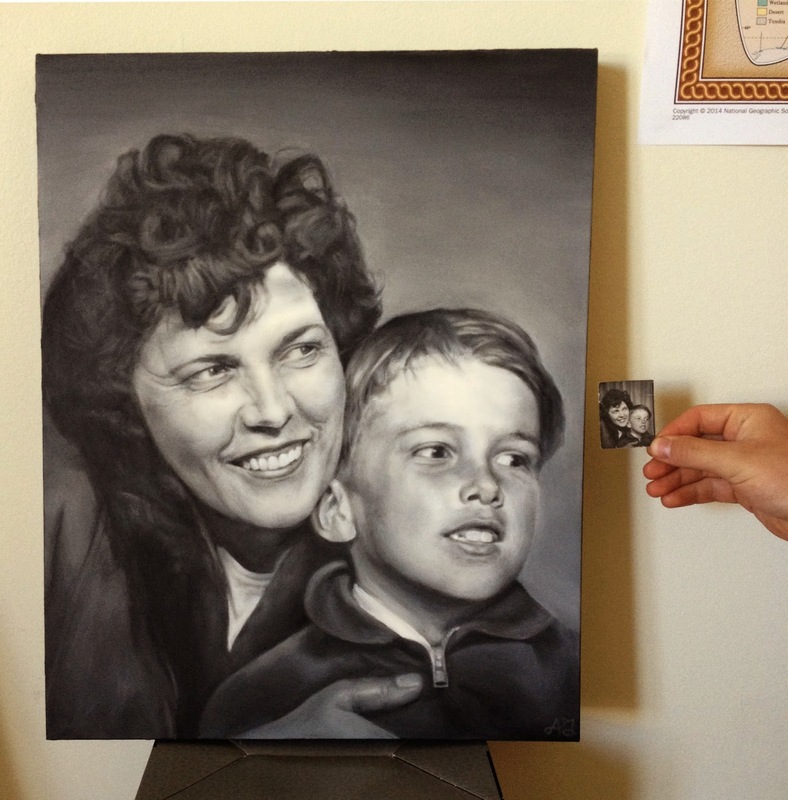 I received this tiny old photo booth picture to paint that was taken about 50 years ago. The edges are falling apart, there are wrinkles through the image, and it is generally falling apart. My client wanted the photo restored but couldn't find a place that would do it, so they came to me to paint and remake it.